Header image: Book cover (left); and Sobukwe, inside the grounds of Orlando Police Station, awaiting arrest, on the morning of 21 March 1960 (right). To commemorate Human Rights Day, The JRB presents an excerpt from the newly published Lie on Your Wounds: The Prison Correspondence of Robert Mangaliso Sobukwe. I have appealed to the African people to make sure that this campaign is conducted in a spirit of absolute non-violence, and I am quite certain that they will heed my call. I now wish to direct the same call to the police. If the intention is to ‘maintain law and order’, I say, you can best do so by eschewing violence. Let the Saracens [military vehicles used by the police] have a holiday. The African people do not need to be controlled. They can control themselves. Please do not give my people impossible orders, such as ‘disperse within three minutes.’ Any such order we shall regard as merely an excuse for baton-charging and shooting the people. If the African people are asked to disperse, they will do so orderly and quietly. They have instructions from me to do so. But we will not run away! If the other side so desires, we will provide them with the opportunity to demonstrate to the world how brutal they can be. We are ready to die for our cause; we are not yet ready to kill for it. But his calls for peace were not heeded. Later that day, at least sixty-nine people were killed by the police, who opened fire on a crowd of protesters outside the police station in the township of Sharpeville, near Vereeniging. 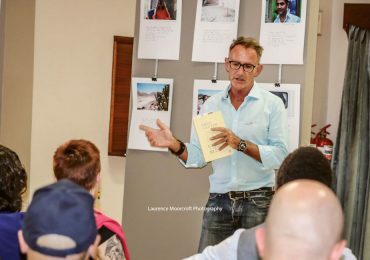 The event became known as the Sharpeville Massacre, and, as Derek Hook writes, ‘was a turning point in the history of the country, and indeed, in the history of resistance to white supremacy’. Sobukwe as sentenced to three years in jail, for ‘inciting people to protest against the laws of the country’. Sobukwe possessed not only a political, but also a wonderfully literary mind. He taught African languages at the University of the Witwatersrand (hence the nickname of ‘Prof’); he dreamed of translating Shakespeare into Zulu; he planned to study Arabic while on Robben Island; and he could cite Afrikaans poetry—particularly that of Jan Celliers—by heart. The letters are as engaging as they are eclectic. It is not unusual in a Sobukwe letter for a biblical reference to follow after a recalled snippet of Russian poetry, for a citation from Tennyson or Wordsworth to accompany a memory of his formative years in Graaff-Reinet, or for a Xhosa proverb to be interlaced with thoughts on the characters of Lyndon Johnson or Robert Kennedy. 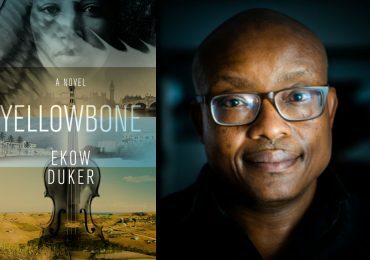 Sobukwe the letter-writer moves seamlessly from discussion of the history of the Xhosa people to the new boxing world heavyweight champion, from the relative merits of Christianity and Judaism to Kwame Nkrumah’s notion of the African Personality. 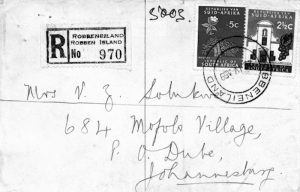 A letter from Sobukwe to his wife Veronica with Robben Island postmark. You will pardon me if this letter appears ‘official’. I have discovered that whenever I write as I feel I seldom say all that I should have like to say. Good. The Heavenly City of the 18th Century Philosophers—Carl L Becker. The Structure of Industry in Britain—GC Allen. Since the President of Lincoln said he was sending about a dozen books I suppose the rest are still being censored. You can’t imagine how happy I was to receive these books. I felt like reading them all at once. I never dreamt I would come to enjoy Economics like this. Thank you for your telegram which I received this morning (Incidentally I have not yet received your letter which I presume accompanied the books. This is, therefore, not a reply to it). I had been afraid that by writing to you so early on the matter of the Birthday I might give you the impression that I had written July by mistake and that the great day was in fact June 27th. Your telegram set my mind at rest. As I stated in my replying telegram your choice of gifts suited me just fine. I know it will suit my wife too. Will use the set when we are entertaining on a grand scale at some future date. I have written to Miliswa about this event and told her that Ntate Benjie will be consulting her. She’s the most sensitive of my children, I think, and will relish being drawn into the conspiracy. To heighten the drama, therefore, I suggest that when you visit Mofolo, you call her aside, away from her mother and tell her what presents we are planning to make. I told her that the two of you would have to get a cake (but this is really for them to eat that a ‘Birthday’ cake with candles etc) and that each one of them will have to present their mother with a bunch of flowers on the 27th July. If you can arrange the details for those two items with Miliswa you’ll have given her the responsibility she is in such a hurry to shoulder. As I say, I have not yet received your letter and do not know what comments you have made on the Kennedy visit.⁷¹ I assume that you have commented and expect your comment to be favourable seeing that you are an ‘ultra-liberal’, to borrow a term from the eminent Prof. Logan of the Hague Case fame.⁷² By the way I have been following the discussions in the Geography Teachers’ Symposium being held at Stellenbosch University and am suitably impressed by the unanimity of thought, attitude and vision exhibited by the eminent academicians who have presented papers there. The only foreigner, I think, is the eminent American Prof. Logan, who, to my knowledge, has never been in this country before. Oh yes, you remarked in an earlier letter that no African has produced a great social novel in this country. I agree with you. But I want to suggest to you, as a verifiable fact of history, that an oppressed people or class has never produced great literature or art. When we read that such and such an artist was a peasant or worker, what in fact is meant is that he was of peasant or worker origin. He himself was no longer that. It is the middle class that idealizes the worker or the peasant or that writes indignantly on his behalf. As Bernard Shaw says, ‘The worker is concerned with the drudgery of earning a living’ and has no time to appreciate the nobility of character assigned to him. Marx spoke of the ‘stupidity’ of the peasant. He, of course, belonged to the middle class. Do you know that at Fort Hare we loathed ‘Cry the Beloved Country’? The Rev. Nxumalo⁷³ typified for us the ‘Uncle Tom’ mentality which we abhorred. In other words no one of us could ever have had such a character as a hero. And yet he is a typical missionary-school product. And Paton took him as he found him. What the oppressed produce is propaganda. If they attempt to be detached, they write superficially. As for me—well, perhaps I’ll take your advice. But I’ll never write an autobiography, Benjie. I think this form of writing is being overdone. Yes I wrote some poems and short stories, but they were in Xhosa. Remember I asked you what I could do when the late Mosaku confiscated my manuscripts from his typist who was typing them during office hours. You wanted me to get Ernie [Wentzel] to sue for their return. I recited some of them in jail and the natives were suitably impressed. Love to Jennie. Will write again, soon. 71 Robert Kennedy visited South Africa in June 1966 at the invitation of the National Union of South African Students and gave a memorable speech at the University of Cape Town, regarded as one of his finest. 72 In 1960, Ethiopia and Liberia filed a case against South Africa—the ‘South West Africa Case’—claiming that the country had not fulfilled its mandatory duties in its governance of South West Africa (which South Africa had acquired as a mandated territory from the League of Nations after the end of the First World War). In 1966, the International Court of Justice at The Hague finally gave judgment in this case, ruling that the applicants, Ethiopia and Liberia, had no standing to bring their suit against the Republic of South Africa. As a result, South Africa continued its rule over the former German colony. Professor RF Logan of the University of California gave evidence on behalf of the South African government. 73 Sobukwe appears to be consciously avoiding the anglicised spelling used in Alan Paton’s Cry, the Beloved Country, referring to the novel’s ‘Reverend Kumalo’ instead as ‘Nxumalo’. 74 James Baldwin (1924–87), influential American novelist, social critic and often associated with the Harlem Renaissance. Baldwin published his first novel, Go Tell It on the Mountain, in 1953; it was followed by Giovanni’s Room, Another Country and Tell Me How Long the Train’s Been Gone. 75 Richard Wright (1908–60), noted American author, often associated—like James Baldwin—with the Harlem Renaissance. Wright’s first novel was Native Son (1940), which shared the predominant concern of much of his fiction, namely that of themes of racial discrimination and inequality in the United States. Thank you for both your card of the 1st June 1868 and your letter of 8th June, a century later. I have been long on this island, haven’t I? Yes, I received the January copy of Realités. Thank you very much. I’ll be glad to have any copies you can spare as well as copies of the ‘New Yorker’, if you still receive the journal. Thank you also for the R2.00. Thank you for your words of encouragement. When you have time please read Jeremiah 45. It was Dietrich Bonhoeffer’s favourite passage.⁴¹ I got it from him and have made it mine. Incidentally, he was hanged by the Nazis just two months before their collapse. Yes, Stellenbosch is becoming troublesome. If you remember they invited Kennedy to address them.⁴² In fairness I must admit that Pretoria University invited me, too, in 1959. Only I refused because my audience would have been all-white! And the late Dr Xuma⁴³ was warmly applauded at Potchefstroom University. But Stellenbosch is the more relaxed of the Afrikaans universities. It is a pity about ZK Matthews.⁴⁴ As you say, he was a fine man. While I was a student at Fort Hare I came to know him quite well. He was too tolerant and broad-minded for many of us nationalists and we quarrelled with him frequently and fiercely. But he never lost his pride. I hope you have not been alarmed by what ‘Sampie’ Froneman⁴⁵ said about me in Parliament. His approach to truth is that of a poet – not of a scientist. It seems to be an affliction of most of those associated with the BAD department.⁴⁶ Dr de Wet Nel,⁴⁷ the former BAD minister had it to an alarming degree. Blaar Coetzee⁴⁸ is also heavily infected. All the more honour, I think, to the Minister of Justice, for resisting the temptation to make the sure but cheap appeal. I am sorry to trouble you but do you think you could get me a pair of warm pyjamas, size 40 (forty) in a dark colour? If you could throw in a handkerchief or two I’ll be much obliged. In closing, may I quote a few lines from Mayakovsky. I know they’ll thrill you. Thank you for writing to Veronica. With best wishes to you and Leo. God bless you. PS I am well: am only plagued by a cold in the head. But have had it for over a decade now. It knows neither summer nor winter. Robert. 42 Robert Kennedy spoke at the University of Stellenbosch on 7 June 1966, having been invited by students at one of the residences. 43 Alfred Bathini Xuma (1893–1962), typically referred to by his initials—as AB Xuma—was a medical doctor who served as president-general of the ANC from 1940 to 1949. 44 ZK Matthews died on 11 May 1968. 45 A reference to the allegation that he, Sobukwe, was a Communist. 46 The Department of Bantu Administration and Development. 47 Dr MC de Wet Nel was Minister of Bantu Administration and Development, and of Bantu Education, in the National Party government between 1958 and 1966. 48 Blaar Coetzee acted as Deputy Minister of Bantu and Education in the mid-1960s. 49 As in many instances, Sobuwke’s rendering differs slightly from available published versions. These lines are largely drawn from Mayakovsky’s (1915) poem ‘Cloud in Pants’, also often referred to as ‘Cloud in Trousers’. The poem, considered to be Mayakovsky’s first major poem, was initially entitled ‘The 13th Apostle’, but was then renamed as a precaution in an attempt to evade censorship. 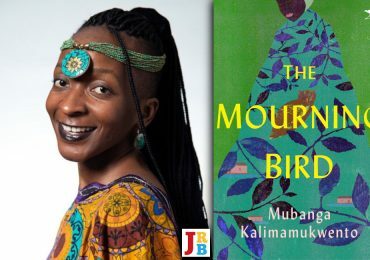 Written from the point of view of a rejected lover, the poem depicts the subjects of love, art, revolution and religion, all of which would have been of interest to Sobukwe. 50 My colleague Sipho Mbuqe, a clinical psychologist and native Xhosa speaker, helped me explore the associations of this aphorism. In his view, to say ‘There has not occurred what has not occurred before’ means: What has occurred (usually to you and your family) is not what has never occurred before (to humanity). 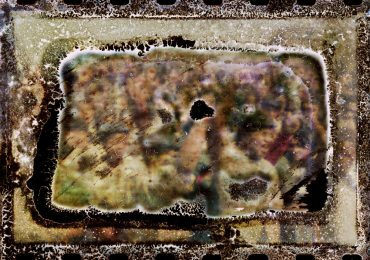 It is tantamount to saying that what you are experiencing is a common human experience; it is a part of the human condition. Importantly, continues Mbuqe, the tone of the aphorism does not convey a sense of dismissing or minimising the loss the other person is going through; it works instead to tie them and their loss to the rest of humanity. As Mbuqe puts it: ‘In some sense you are not alone, but you are alone as you bear the wound at this point, yet you have to soldier on. Usually when you have a wound or deep cut you would not lie on it … However, this calls you to go against natural inclinations. In doing so, you open the path to healing, however painful it might be’ (Sipho Mbuqe, personal communication, 11 September 2018). 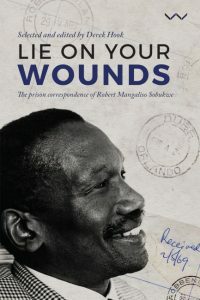 Lie on Your Wounds: The Prison Correspondence of Robert Mangaliso Sobukwe, comprising approximately three hundred letters, provides access to the voice of Robert Sobukwe via the single most poignant resource of Sobukwe’s voice that exists: namely his prison letters. Not only do the letters evince Sobukwe’s evident storytelling abilities, they convey the complexity of a man who defied easy categorisation. More than this: they are testimony both to the desolate conditions of his imprisonment and to Sobukwe’s unbending commitment to the cause of African liberation. The memory of Robert Mangaliso Sobukwe, inspirational political leader and first President of the Pan-Africanist Congress, has been sadly neglected in post-apartheid South Africa. In 1960, Sobukwe led the Anti-Pass Protests, which culminated in the Sharpeville Massacre, which proved a crucial turning point in the eventual demise of apartheid. Nevertheless, Sobukwe—a man once thought to hold greater promise for the liberation of South Africa than even Nelson Mandela—has been consistently marginalised in histories of the liberation struggle. 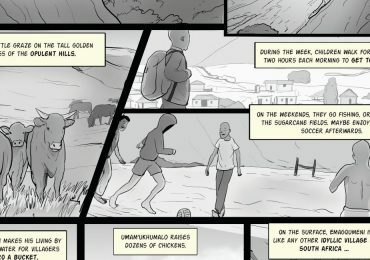 Jailed for nine years, including a six-year period of near complete solitary confinement on Robben Island, Sobukwe was silenced throughout his life, a condition that has been extended into the post-apartheid present, so much so that we can say that Sobukwe was better known during rather than after apartheid. Given Sobukwe’s antagonistic relations both to white liberalism and to the African National Congress (whom he felt had betrayed the principles of African Nationalism), it is unsurprising that he has been subjected to a ‘consensus of forgetting’. With the changing political climate of recent years, the decline of the ANC’s hegemonic hold on power, the re-emergence of Black Consciousness and Africanist political discourse, the growth of student protests, Sobukwe is being looked to once again. For more info or media inquiries contact Corina van der Spoel at corina.vanderspoel@wits.ac.za or 011 717 8705.